We’re also seeing more and more stories about how Bergdahl may have been treated, including suggestions he was tortured and held in total darkness inside a shark cage for weeks. I know a little about shark cages, and other than wondering how and why they would have a shark cage in Afghanistan, I don’t doubt Bergdahl was treated really bad for really long periods of time. Without a doubt, he was a prisoner held for ransom. Then we have the suggestion many died during efforts to find Bergdahl. It’s certainly possible those six to eight good men died on missions where one of the objectives, or a secondary objective, was to locate and save Bergdahl. But it does not look like anyone died on a mission where the primary objective was finding him. This is speculation on my part, but Joshua Cornelison, a former medic in Bergdahl’s platoon was there. Who am I to question someone who was there and directly involved? Who is anyone to question those six? Oh I know, we’ve got people telling us this is a coordinated GOP operation. Heck, that Huffington Post article calls the interviews attacks on Bergdahl, when in reality they are just relating the story as they know it. Is it an attack if the information is true? By using the word “attack” in a headline, is Igor Bobic at the Huff Post calling those six liars? Video below from Cornelison’s interview, but let’s not forget what the Obama administration wants us to forget. The Executive Branch – and President Obama directly – broke the law he signed by not informing congress 30 days prior to releasing Gitmo detainees. There was no exigent circumstances. 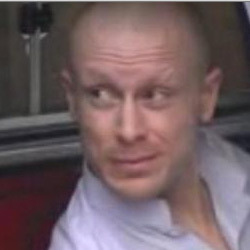 There is no indication Bergdahl was in imminent threat of death if the deal had leaked. That’s from Sen. Diane Feinstein (D-Calif.) And by the way, that meme is a total Obama administration lie for the simple fact many reports – including this one from the Washington Post on Feb. 17 – notes “… the Obama administration has decided to try to resume talks with the Taliban and sweeten an offer to trade Taliban prisoners held at Guantanamo Bay, Cuba, for the Army sergeant, current and former officials said.” The Obama administration wants you to forget about that. It was already leaked! One story from the New York Times is dated May 9, 2012! There are reports we knew where Bergdahl was. Of course he was and is in bad physical and mental health, he was a prisoner for five years for goodness sakes. My guess is he was in bad physical and mental health three years ago. Ask anyone in the service… Does the “we never leave a man behind” standard refer to going to get our servicemen – alive, wounded or deceased – or does it mean we trade high-ranking terrorist leadership for our men? The Obama administration has totally twisted the Soldier’s Creed to suit his own agenda … to close Gitmo. We’ve seen a few on TV … the answer is “that’s not what it means.” We now have set a new standard … we negotiate with terrorists utilizing terms that will become very public, and not remain private. There is no documentation concerning how the Gitmo Five’s “parole” is monitored. What happens if they break the release rules? There is one thing I’ll bet will not happen… they will never end up back in US hands or back at Gitmo unless they are captured on another battlefield. With number 3 noted above, we have to ask if it was probable or possible to go and get Bergdahl ourselves. From the reports I’ve read, it seems like Obama disregarded the possibility of a rescue mission, and was singularly focused on trading Gitmo detainees for Bergdahl. What a mess. So far, Krauthammer has said it best. Bergdahl must be courtmartialed for desertion & hopefully then shot. Everyone with any sense has known for years this pig defected. Desertion has yet to be proven. And how come so many politicians of both convictions have been pushing for years to try to get him home, if the desired “outcome” is to have him shot? I wouldn’t know,but listen to the testimony of those who know,not stinkin’ politicians. Sorry, I apologize. I did not know you had first hand knowledge of what happened. Why did you not come forward with the information before now? This was a well known case,years ago,it may have even been in a book. These things are easy to forget-as Obama did or hoped everyone would. Bergdahl’s own words proved it. He sent Kim Harrison a box with his journal. I wish the politicians cared as much about rescuing the Benghazi five as they cared about Berdahl. Bergdahl was at the least a messed up kid, at the most he went AWOL. The Benghazi Five were all brave and courageous men. Seems, ricbee, that everybody forgot for years (including all the Republican bigwigs like the whole Idaho delegation) until the swap. At that point everything became political. No matter that he still is a US soldier held captive by our enemy!! I will always believe troops who are on site, rather than bureaucrats in Washington or in the Pentagon. Sammy,he wasn’t a captive-he joined them. Ricbee, Right. I’m tired of Politicians and spinners who interpret Military Code. I’ll admit, i was never in the military, but I read and for God sakes you don’t swap a deserter for five fanatic jihadists with the ability to command. Sorry, I probably took God’s name in vain, but I believe he would be on the “Right is might side”. Except to hang the sorry sucker & have a drone implant in those five guys.